Want to help kids learn? Ask them to explain what they are learning in their own words! New research1 has found that when children are asked to come up with explanations (even just to themselves) while learning, they are able to connect new ideas with prior cause-and-effect knowledge better than those who are not encouraged to explore and explain. By forming their own generalizations, children can more efficiently understand new information. Children begin to develop cause-and-effect thinking skills as early as eight months of age2. Cause-and-effect thinking, or causality, allows us to make inferences and reason about things that happen around us. Causality helps us understand things as simple as “If I don’t water the plants they’ll die” to things more complicated such as other people’s intentions and behaviors. When children understand cause and effect, they also begin to understand the operation of mechanisms, which allows them to understand causal relationships. When a child asks “why” for the first time, this question more than likely coincides with their first attempt to explain something. Asking “why” helps children fill in the blanks (so to speak), allowing them to fully understand both the cause and effects and mechanisms of the new situation or information they’ve been presented with3. Educational research has found that self-explaining (explaining to oneself or to another person) can be more effective for learning than other activities – such as repeatedly reading over materials or thinking aloud4,5. 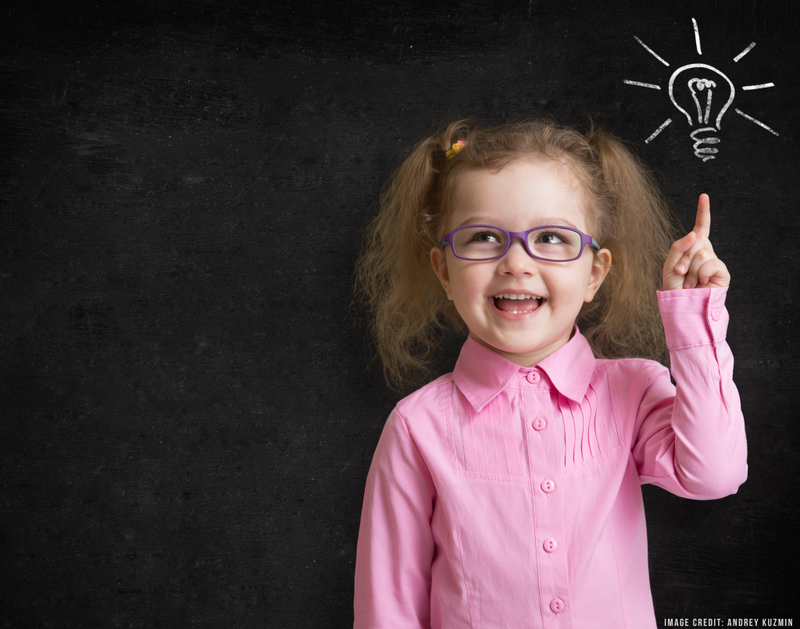 While most of the research on self-explanation has focused primarily on older children and adults, there are some studies on younger children that have shown the positive effects it can have. For example, research with elementary school children has shown that in comparison to other learning activities, such as solving practice problems, self-explanation was shown to enhance children’s conceptual and procedural knowledge about a given task or concept6. Why is it important to focus on younger children? Research has shown that self-explanation is really only beneficial when we are presented with new concepts that we aren’t well informed of7. Because young children are just beginning to experience the world, they stand to benefit most from self-explanation. In order to examine the benefits of explanation-based learning further, Christine Legare and Tania Lombrozo implemented two studies. 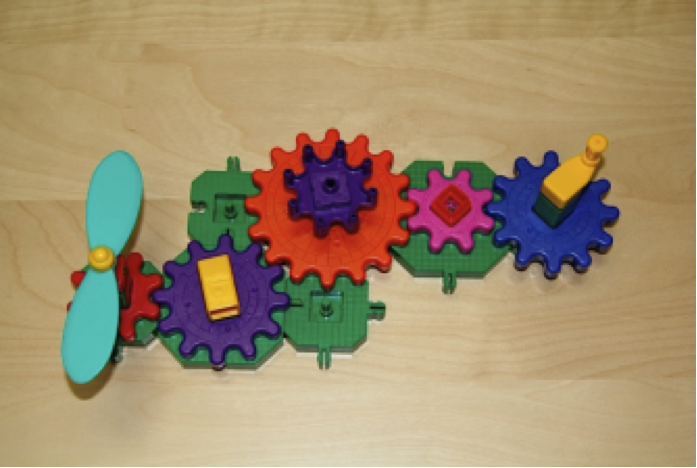 In each study, they presented preschoolers (age 3 to 6) with a mechanical toy made up of colorful, interlocking gears that had a propeller on one end and a crank on the other. After a researcher showed the children how the toy worked, each child was given an opportunity to take the machine apart and to put it back together again. Children were then asked to either observe or explain the mechanisms of the toy (in study one) or were asked to describe or explain the machine to the researcher (in study two). Both studies found that the children (regardless of age) who were asked to explain the toy outperformed the other children in understanding the cause and effect operations of the toy. For example, if a part was unknowingly removed from the toy by the researcher, the children in the explain condition were able to figure out and understand why this was happening more so than children in the other groups. The children who were asked to explain were also better at rebuilding the toy and were able to transfer this new knowledge to other learning tasks presented to them. However, they found that explaining does not improve memory for details: children who were asked to explain were often mistaken when asked to recall the toy’s size, shapes, and colors. Why did the children who were asked to explain excel in understanding the toy’s functionality, but fail when it came to remembering its details? Legare suggest that the process of explaining causes the child to focus more on understanding the cause-and-effect mechanisms rather than the physical details. Self-explanation may help kids learn by forcing their minds to grapple with the underlying concepts, causing them to discover connections that they may have otherwise overlooked. Previous research by Legare and colleagues8, 9 has found that preschoolers are especially prone to attempt self-explanation when they encounter new information that contradicts their worldview. When children are presented with inconsistent outcomes, it prompts them to think about all possibilities (even unseen and hidden mechanisms). The explanations they come up with then inspire them to want to actively test their hypotheses. These results were observed in children as young as two years old10. While much is still unknown about the role of explanation in early childhood learning, it’s clear that explaining may be valuable because it makes us aware of what we don’t yet understand. These studies have also shown that self-explanation engages young learners in ways that other cognitive process do not (such as observing and describing). “Understanding the ways in which explanation does — and does not — improve learning speaks not only to questions about the development of cause-and-effect knowledge, but also to questions about how to most effectively harness explanation for use in educational interventions,” Legare says. When teachers and parents ask children to explain “why” and “how” something works, they are giving the child the opportunity to think like scientists. This process is effective both in the classroom and at home. By allowing children to gather evidence through exploration and understand it through explanation, it provides them with insights into the development of scientific reasoning – allowing them to harness their potential for scientific reasoning and improve their critical thinking skills8. Additionally, because children may explore more when asked for explanations regularly, informal learning environments like children’s museums are a great place for children to hone in on these abilities. So the next time your child or student asks you to explain “why” or “how” when learning something new – ask them! You’ll be helping them more than you (or they) realize. Ashle holds a Master’s degree in Cognition and Culture from the Institute of Cognition and Culture at Queen’s University Belfast. She currently works as a Research Assistant at the Institute of Cognitive and Evolutionary Anthropology at the University of Oxford and is the Web and Social Media Coordinator for the Evolution Institute and This View of Life Magazine. Her research interests broadly include ritual, identity, human cooperation and conflict, international relations, and human rights.